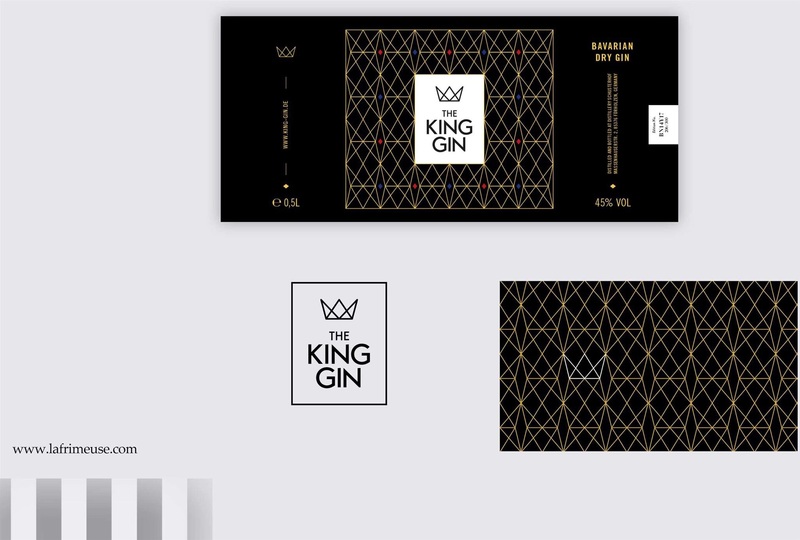 The Munich agency Corporate Creation created a wonderful logo design and packaging for gin. 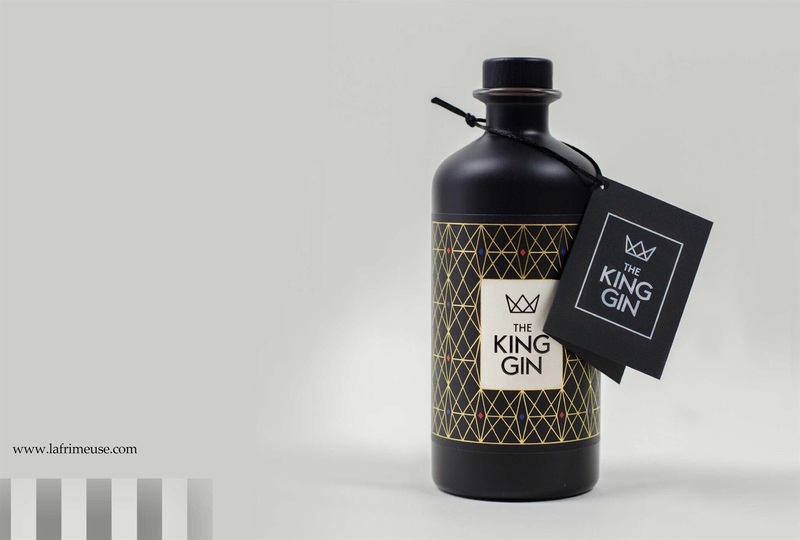 King Gin is produced as a Bavarian dry gin in Furholne near Freising, in a small but beautiful manufactory. Today everything is done manually. Even biocitrons are manually cleaned, and the label with the bottle is also applied manually. 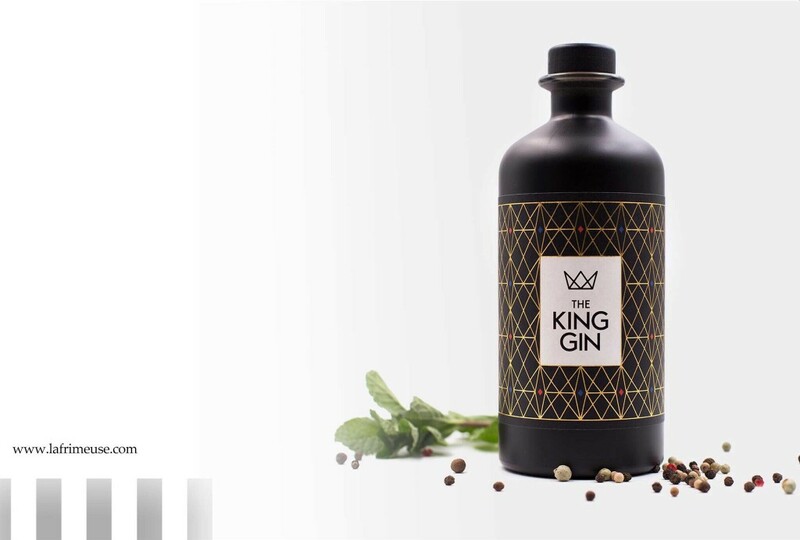 Production takes place only in small batches of 300 bottles per lot. This is also noticeable when tasting gin, which is significantly different from ordinary gins. His lovely spicy lemon scent, with a delicate floral note, makes you want more. 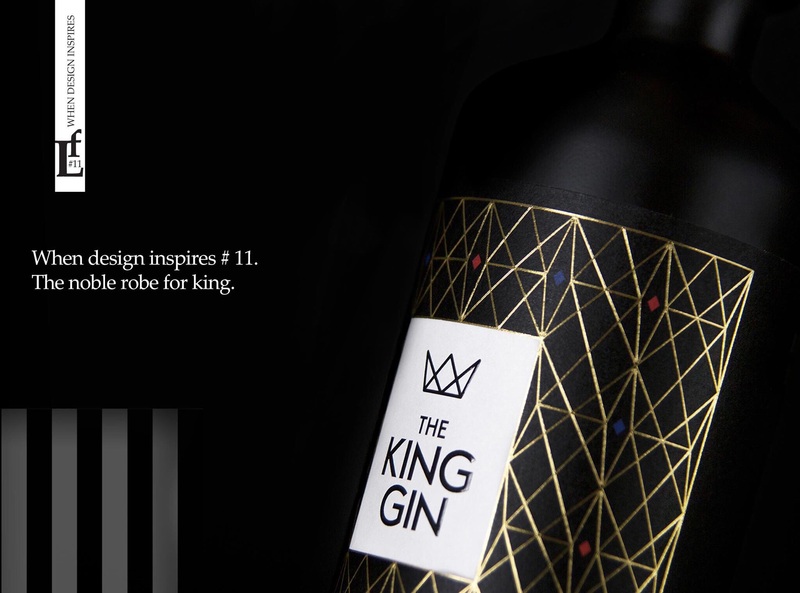 As the agency announces its project: “We were again allowed to dress the king, so he is in a noble gown to admire and deserve the taste of gold.